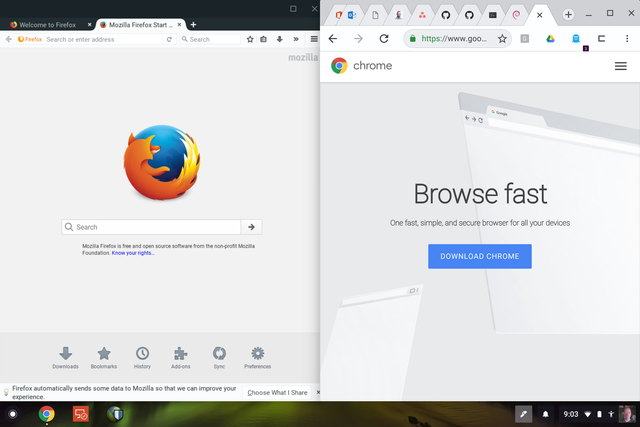 26 April 2018, 16:04 p.m.
A commit to Chromium’s code has revealed more about Google’s plan to support Linux apps in Chrome OS with a dash of Material Design. Google’s annual I/O developer conference is just around the corner, and we’re starting to see the usual early hints at what to expect. We’ve known about Project Crostini, the codename for the project to bring Linux apps to Chrome, for some time — but the UI elements have remained a mystery, until now. The developers behind Crostini appear to have settled on the Material Design-inspired ‘Adapta’ theme for Linux. Google may choose to create its own bespoke theme which is even closer to Chrome OS, but for now, it seems this is what’s being used. A post on the Crostini subreddit provides instructions on how to get it running on a Chromebook today, but unfortunately, container functionality is only available on the Pixelbook in the developer channel right now. There’s evidence in the code it will be supported on other devices at a later point. What are your thoughts on the findings? Let us know in the comments.